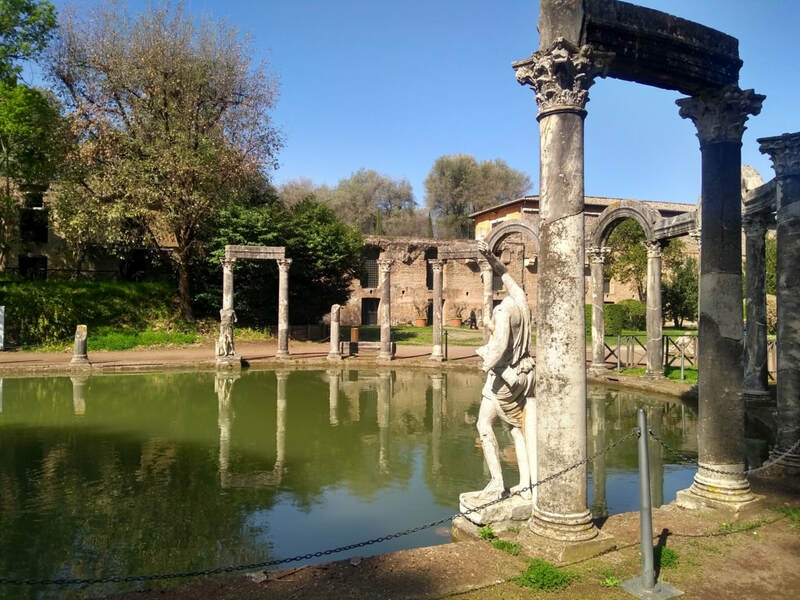 Hadrian’s Villa near Tivoli is the most extensive ancient roman villa, covering approximately 7 square miles, more or less as Pompeii. A garden city built by Emperor Hadrian from 117DC as an imperial palace, near the city of Rome. This villa is considered the epitome in architecture of the opulence and elegance of the Roman world. 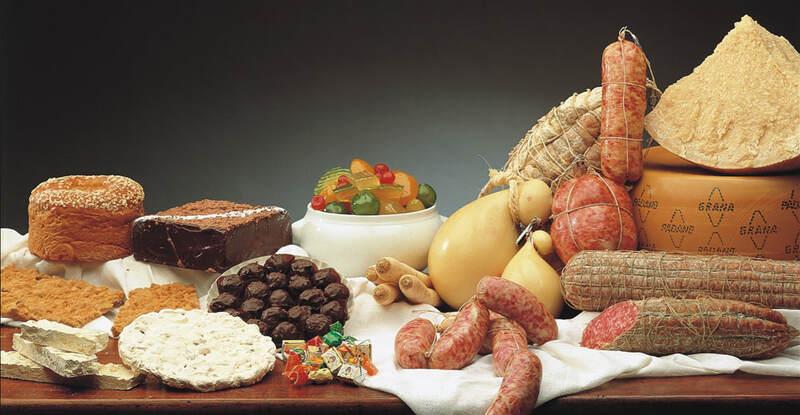 In 1999 was appointed one of the Human Heritage UNESCO Monuments , proclaimed a masterpiece that uniquely brings together the highest expressions of the material cultures of the Mediterranean world. Its buildings were designed to follow the natural lay of the land and include baths, libraries, sculpture gardens, theatres, alfresco dining halls, pavilions and private suites. 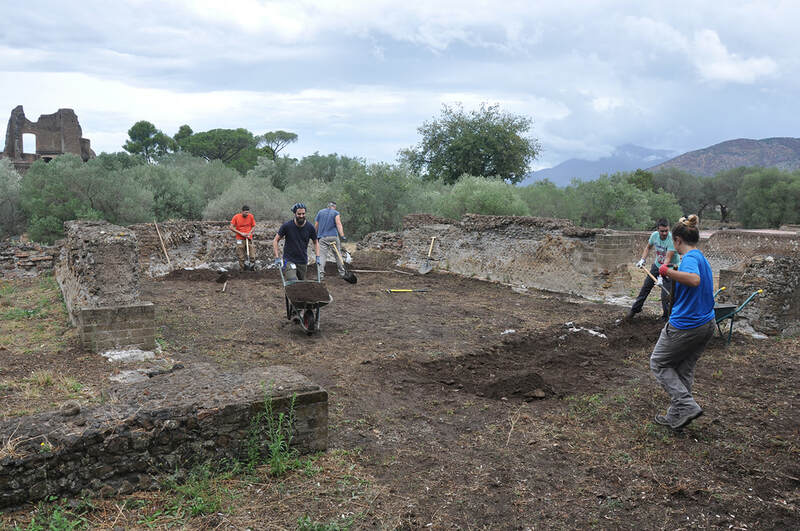 Construction began on top of the foundation of a pre-existing villa that belonged to Hadrian's wife Vibia Sabina. The area was chosen for its abundant waters and aqueducts that passed through to Rome, like Anio Vetus, Anio Nobus, Aqua Marcia and Aqua Claudia. 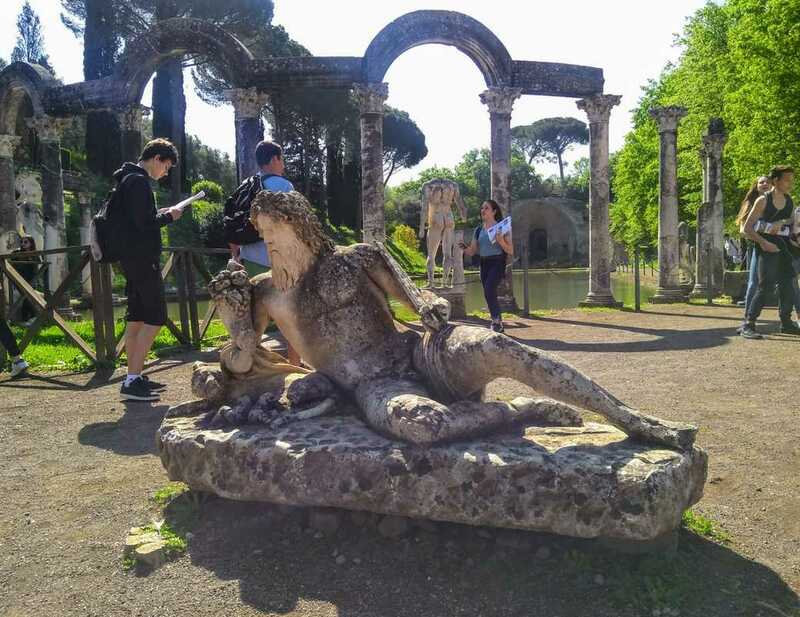 Villa Adriana does not follow a rigid symmetry, it was conceived and designed to amaze the visitor creating surprising perspectives following and dominating the natural curves of the ground. 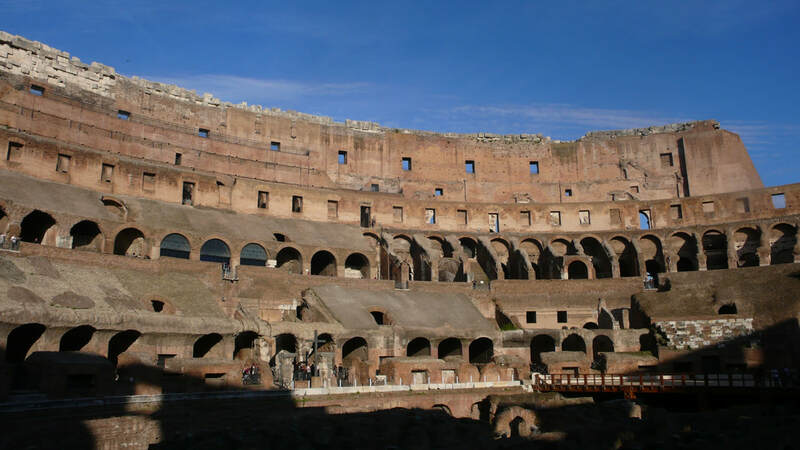 It is shaped by a series of interdependent and inter-locking structures, each one with its own individual purpose: the structure with three exedrae, the Nymph Stadium, a fishing structure, the four-sided portico, the small thermal water baths, and the Praetors’ (Roman bodyguards’) vestibule. 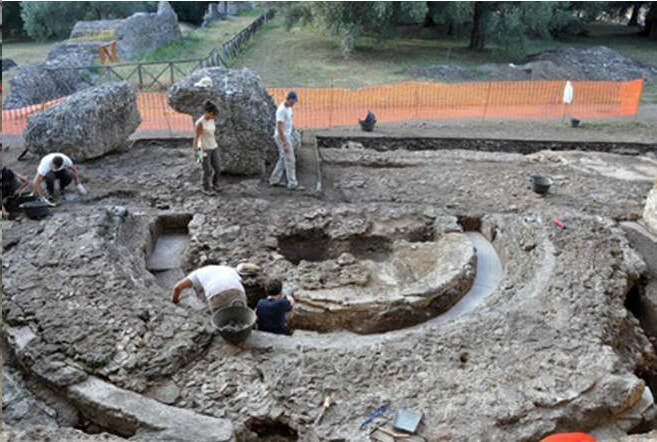 ​The Grandi Terme, reserved for the personnel of the Villa, consisted of a heating system located under the floor, and a circular room outfitted as a sudatio or sauna. Noteworthy is the large vaulted-arch ceiling in the central room that still in perfect condition today despite the collapse of one of the four supporting piers. 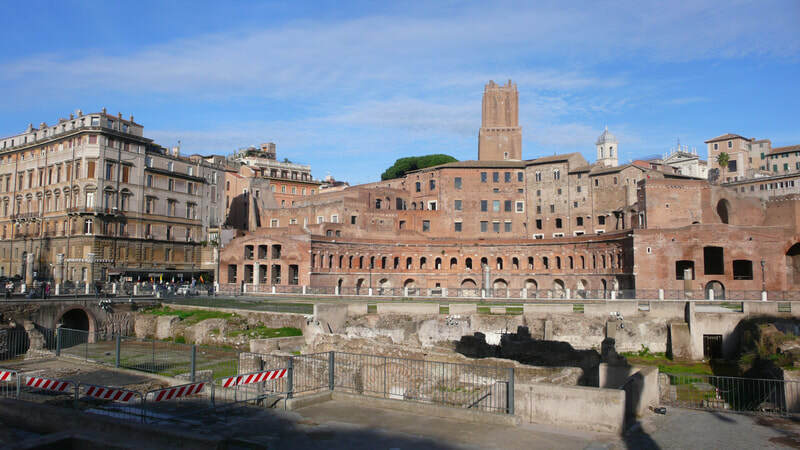 Some of the best preserved areas of the villa are the academia, the estadio or arena, the Imperial Palace, the Philosophers’ Room, the Greek theater, and the Piazza d'oro, a majestic square the purpose of which was to be a “representation;” it was large enough to allow a vast peristyle decorated in refined stucco. Finally, the splendid Teatro Marittimo (Maritime Theatre) is an island of sorts elaborated with an iconic colonnade and circumscribed by a canal. This is where the Emperor isolated himself when he wanted to think amidst silence and tranquility. 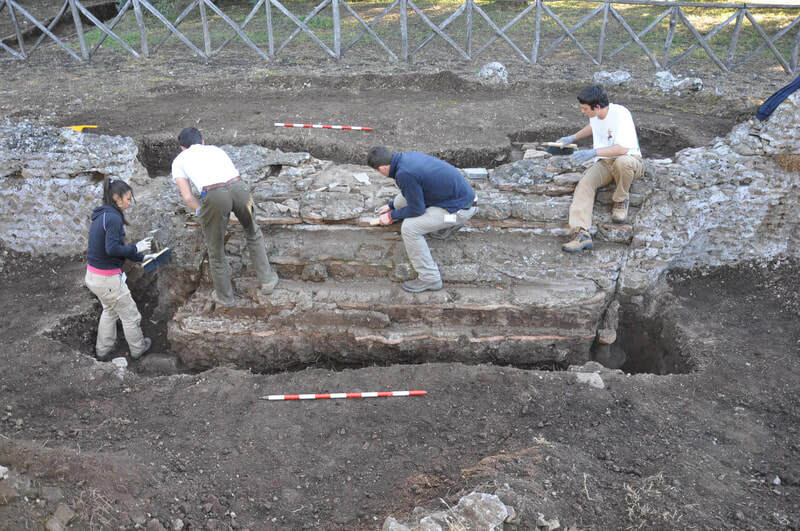 The first extensive excavations date back to the middle of the XVI century. Pirro Ligorio excavated looking for statues and precious marbles which he later used in the decoration of the famous Villa d’Este. He has left three Codes where he describes his explorations and discoveries. 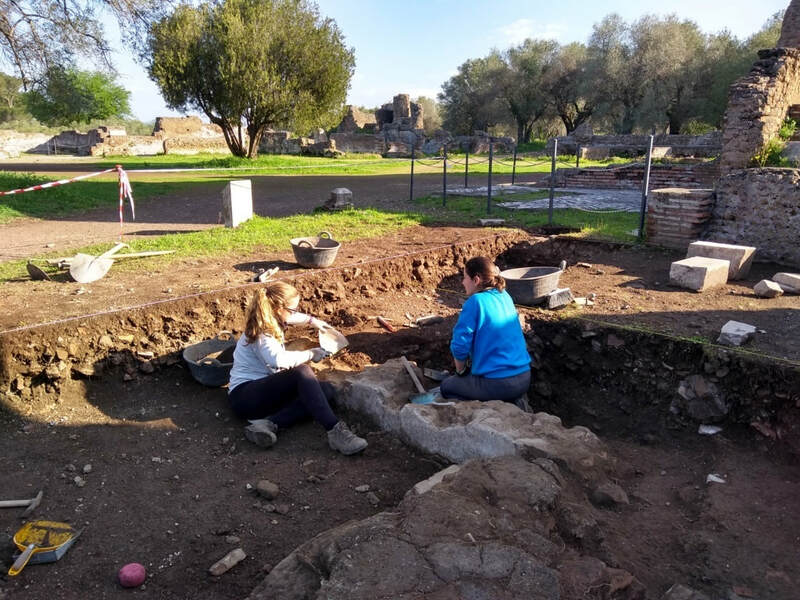 In modern times the proffesor De Angelis has been leading a dig at the site since 2013 with Marco Maiuro, adjunct history professor and associate fellow of Columbia’s Italian Academy. 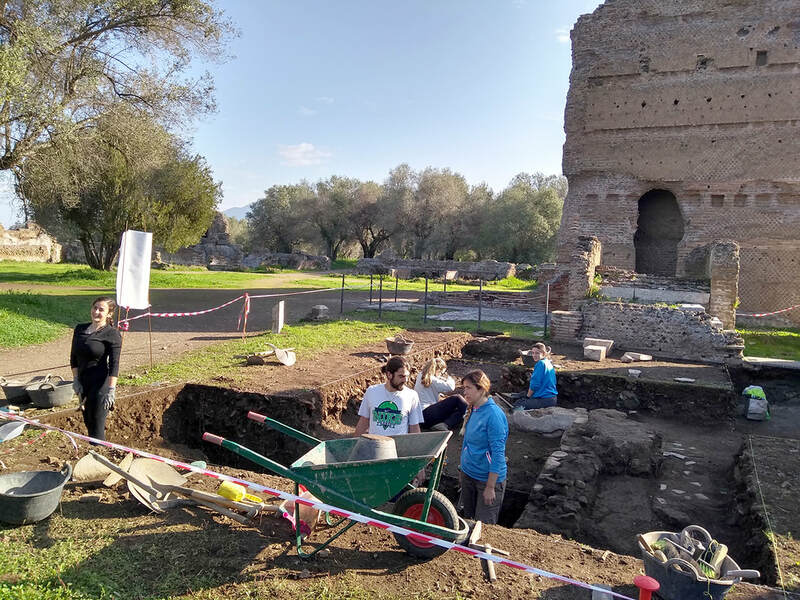 The seminar of archaeology from Pablo de Olavide university (UPO) in Seville (Spain) has undertaquen six campains at the ‘Palazzo’ (first palace built by emperor in Hadrian's villa). 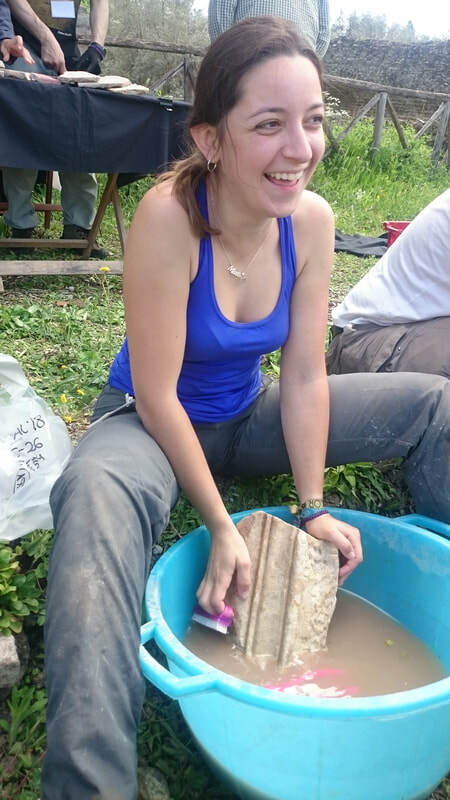 The project director is Rafael Idalgo, profesor of archaeology from the UPO. 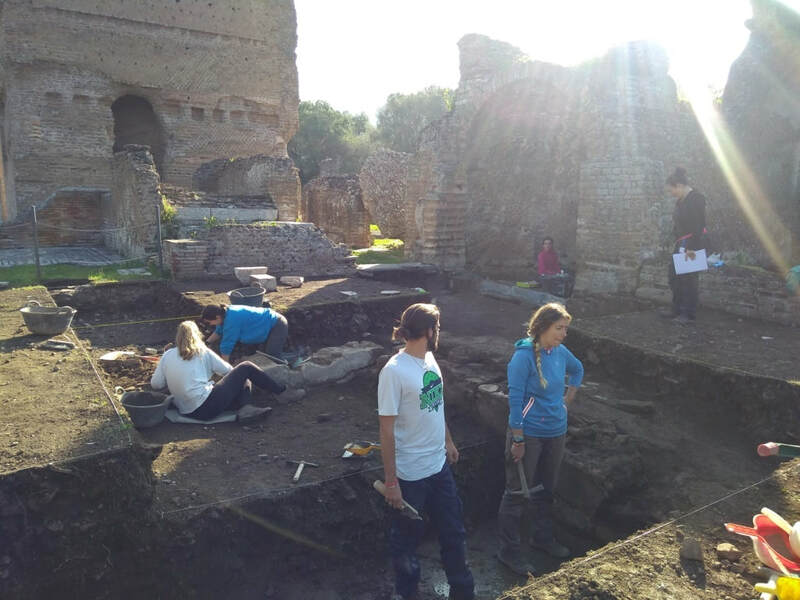 ​The 'Palazzo' inside Villa Adriana was the first residential area that the emperor had in the Villa and it was always used throughout the life of the architectural complex. The "Palazzo" was constructed over an earlier structure, the so-called" Republican Villa, a preexisting building that was partly respected by the emperor and included in the new building. The area where the team will be working in 2019 is located in the center of the Villa, where the most important spaces of representation and residence are located. This area is made up of large arcaded patios around which are distributed different spaces and rooms with various functions: banquet rooms, reception, monumental fountains and a library. 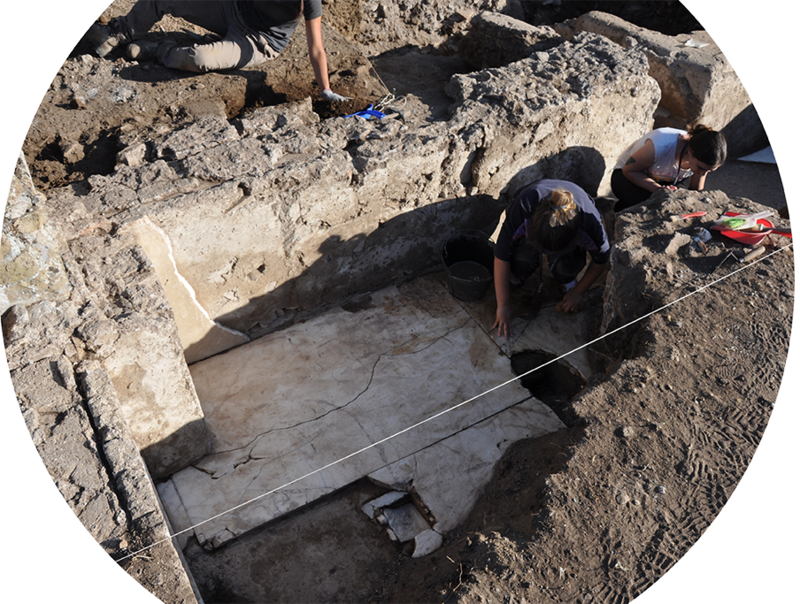 Specifically, in 2019 the team will investigate a large absent room that had traditionally been interpreted as a vestibule preceding the emperor's dormitories. Last campaigns brought to light that this space was in fact a large monumental pond, lined internally with marble. 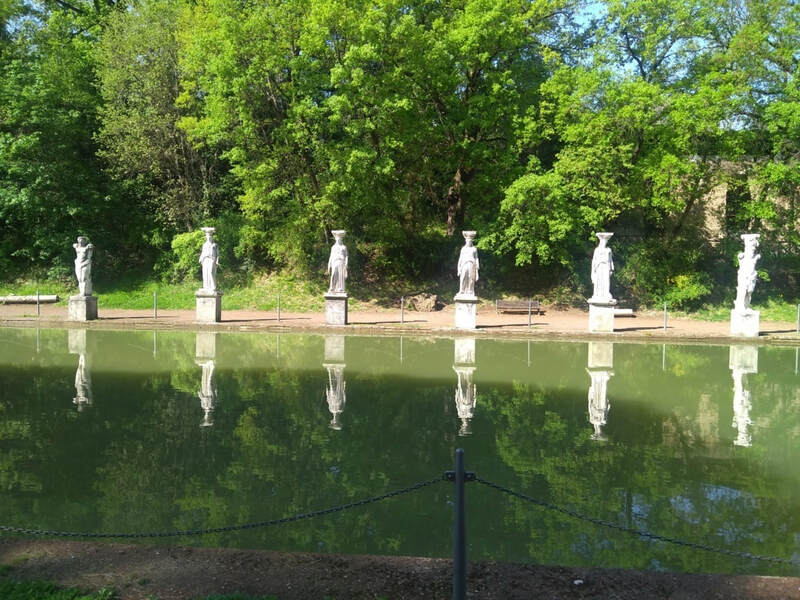 Marina De Franceschini, Villa Adriana Accademia: Hadrian's Secret Garden, I. History of the Excavations, Ancient Sources and Antiquarian Studies from the XVth to the XVIIth Centuries. Studies on Hadrian's Villa, 1. 2016. 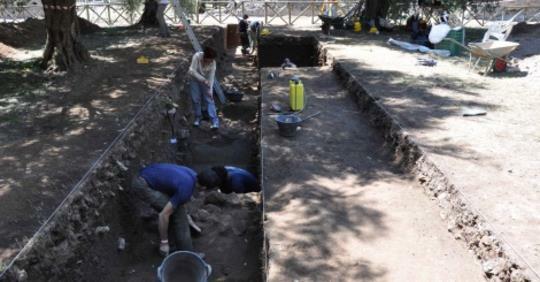 A few hundred meters from the Villa Adriana is the Azienda Agrituristica Tenuta La Rosolina. Was built by Francesco Antonio Lolli in the early eighteenth century to be used as a hunting lodge. The purpose of these constructions was not only that of shelter from the weather, cops were often used real posts to shoot the other against the animals that were "hunted", that is, get out of the woods by the screams of the beaters. These buildings had mostly a rectangular plan and numerous windows on all sides. The house has double, triple and quadruple rooms all with TV and air conditioning. Breakfast and Dinner will be served at the hotel restaurant where we will enjoy the delicious Italian cuisine.​ A light launch will be provided by the site. Part of your fee will go towards the research project. ​To reserve a space, you must pay a $300 application fee. (Included in the price of the program). The remainder of the program cost will be due by May 10th. Application fees will be refunded if the applicant is not selected. Rolling application. We accept applications until all spaces are filled. -Before March 1st: All payments, except for $50 from the application fee, are refundable. -Between March 1st and April 10th: Application fee non-refundable. The remaining balance is refundable. -After April 10th: All payments are non-refundable unless your application is rejected by the program director. You should begin making travel arrangements as soon as your place in the group is reserved, and you should complete them upon being notified of your selection. We strongly recommend that participants purchase travel insurance to cover all needs including medical, accident, baggage loss, delays and personal liability. ArchaeoSpain is not a travel provider nor is a registered travel agent. Your travel arrangements to and from Spain are subject to the terms and conditions of your travel agency. 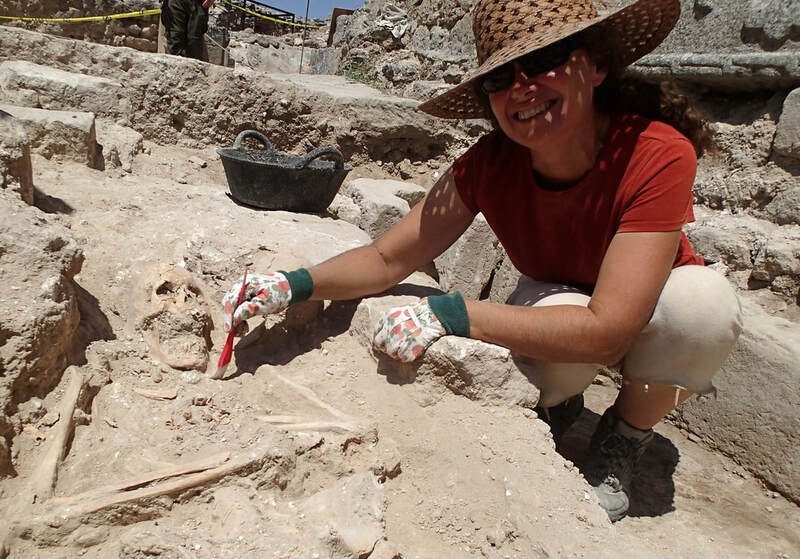 In the rare event that the program is cancelled, ArchaeoSpain will refund program fees, but is not responsible for non-refundable airline or other tickets or payments or any similar penalties that may be incurred. It is your responsibility to protect yourself against airline and travel agency cancellation fees. 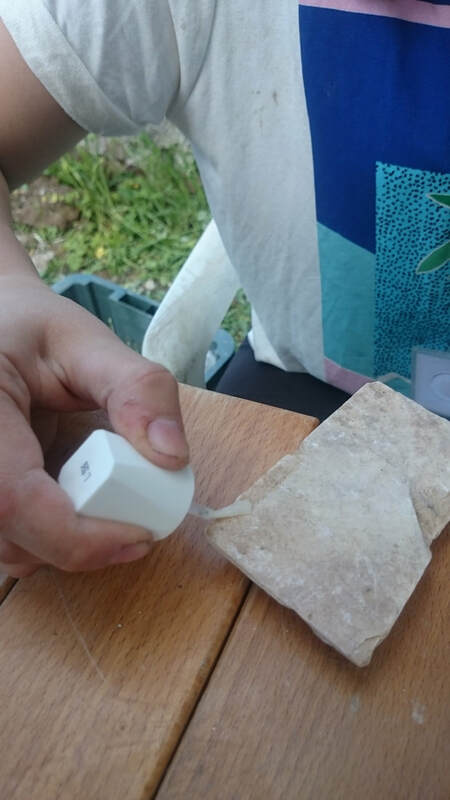 All ArchaeoSpain participants are covered with an insurance packet that provides medical and surgical treatment and prescription drugs in case of accident or sudden illness. This insurance also provides some compensation for baggage loss or theft. With your program packet we will send you more details regarding this coverage, but you may contact our staff for more information. European students should bring an EHIC card with them. 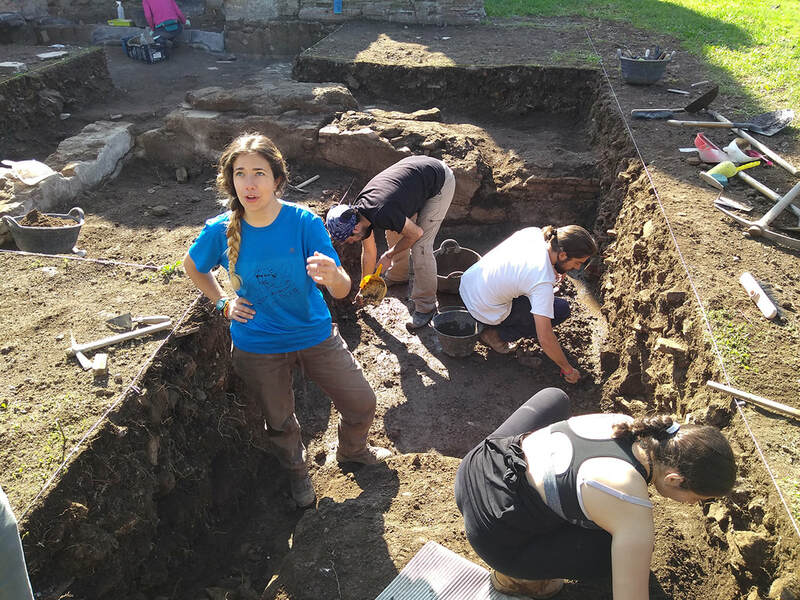 ArchaeoSpain reserves the right to refuse an applicant’s selection. This is a rare occurrence and is most likely due to a person’s inability to meet health requirements or in the interest of group compatibility. 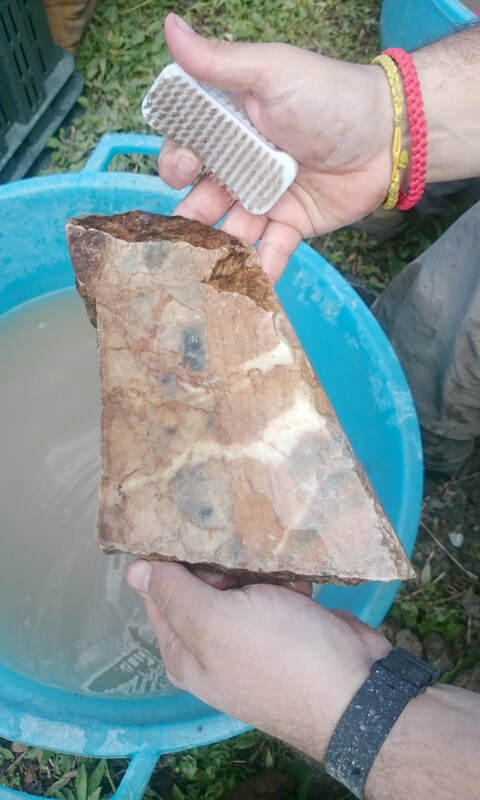 Once in the field, the program director and ArchaeoSpain reserve the right to send a participant away from the program should that person’s behavior compromise the safety, research objectives and general performance of the group, or violate Spanish laws, regulations or customs. A professor in Pablo Olavide university in Seville. He is an expert on architecture of the Roman villas in Betica. 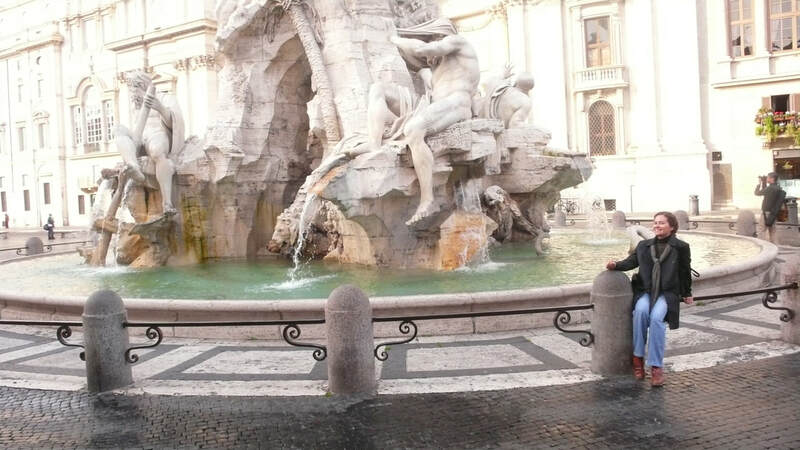 Dr. Hidalgo has directed several research projects related to Roman architecture. 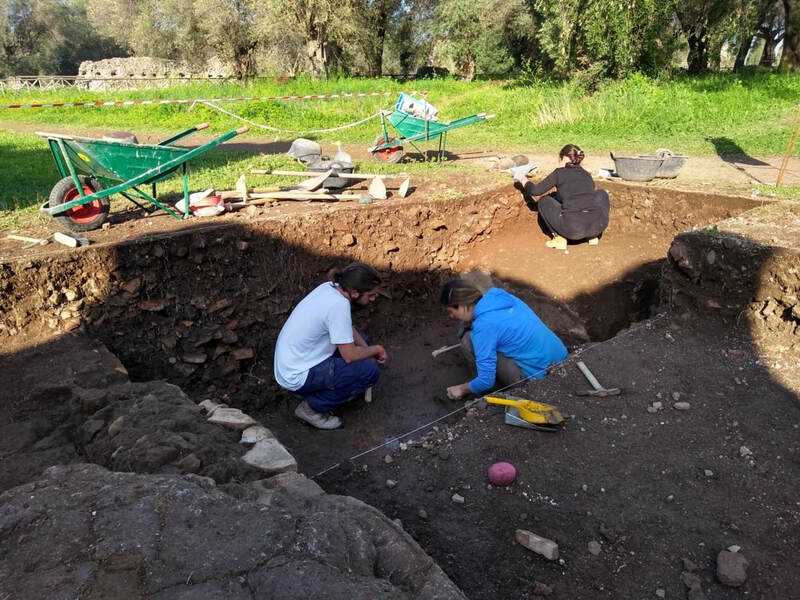 He is responsible for the archaeology department and for the master and PhD program "Archaeology and heritage: science and profession" in Pablo Olavide University and "Archaeology and Heritage" in Cadiz, Huelva and Pablo de Olavide universities. Close to Hadrian's villa is Villa d'Este, 16th-century, famous for its terraced hillside Italian Renaissance garden. With its impressive concentration of fountains, nymphs, grottoes, plays of water, and music, it constitutes a much-copied model for European gardens in the mannerist and baroque styles. 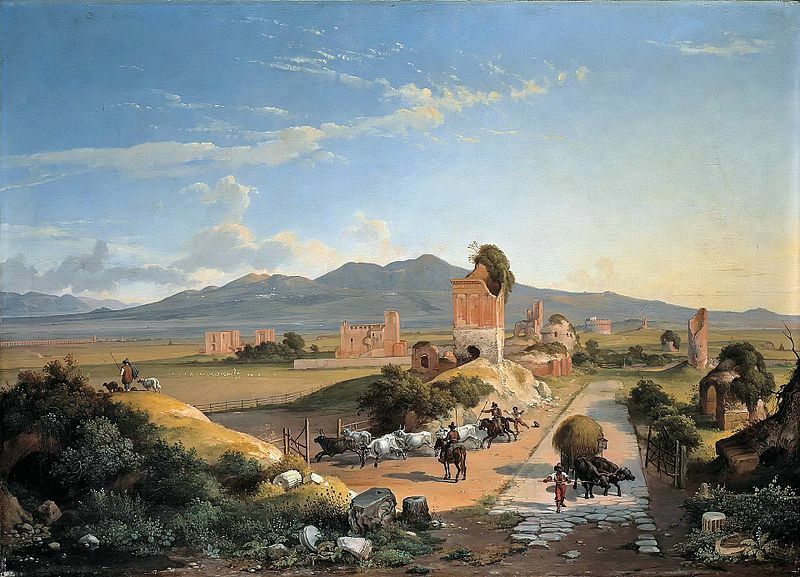 La Via Appia was the first and the most important road built by the ancient romans, in the year 312 a.C. to communicate Rome and Capua. It was built while Appius Claudius was a censor, and the Via was named after him. 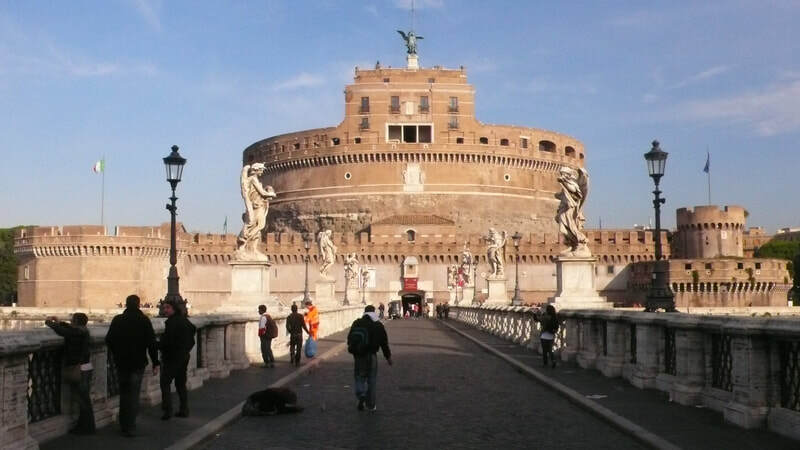 The Via Appia Antica starts at Porta San Sebastiano, before Porta Appia, and run several kilometers through the catacombs of San Calixto and San Sebastiano. The remains of tombs, of patrician villas, of the circus of Majencio or of the aqueduct Claudio, scatter everywhere in the middle of a landscape of ivies, pines and cypresses. 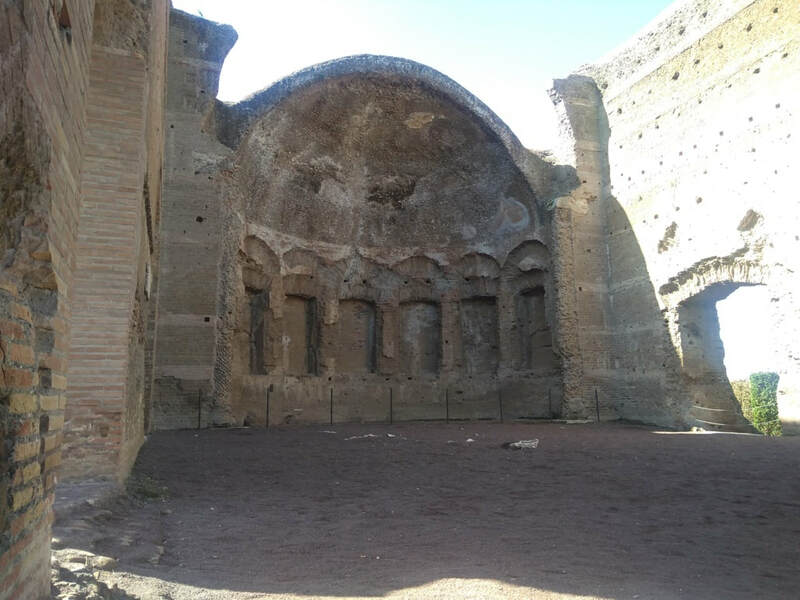 The tomb of Cecilia Metela is the most striking of all that stands, along with the rural villa of Quintili. Ostia Antica was an ancient city located on the Tyrrhenian coast, in the old 'Latium', just at the mouth of the Tiber river. 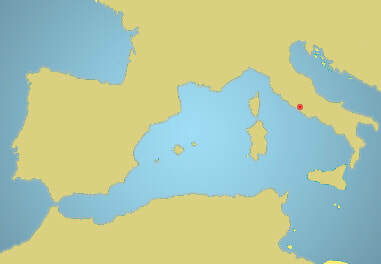 It worked as a port of ancient Rome and, perhaps, was its first colony. 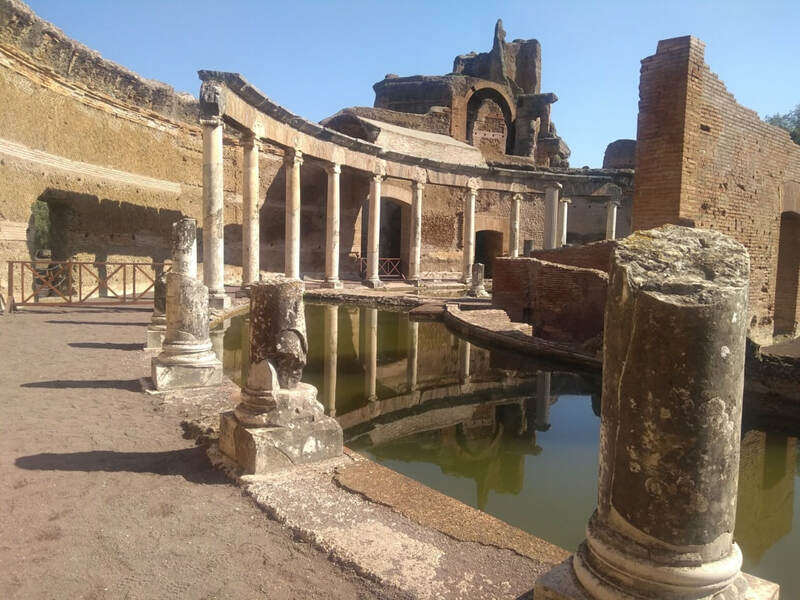 Ostia Antica is a large archaeological site characterized by the excellent conservation of its buildings, magnificent frescoes and impressive mosaics.The city was developed during the first century, mainly under the mandate of Tiberius who ordered the construction of the first Forum. 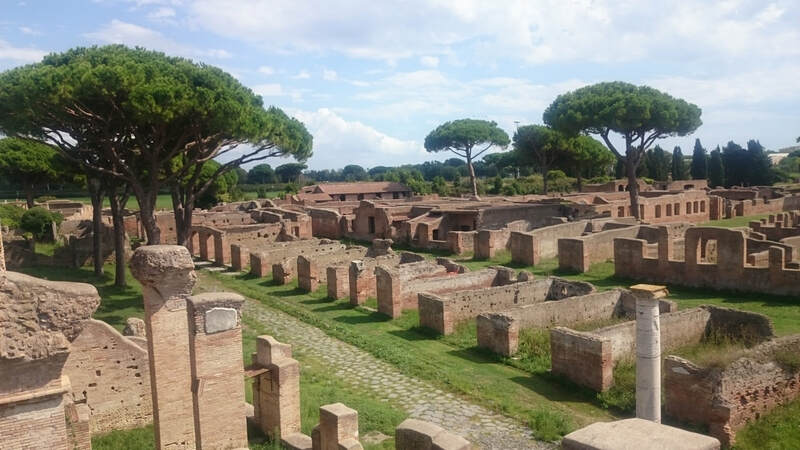 In Hadrian's time the city grew considerably and Ostia Antica seems to have lived through the period of greatest prosperity. Head over to our application page for this program! Email: programs@archaeospain.com ----- Telephone: +1 860 881 2227 ----- 41 Crossroads Plaza, Suite 133, West Hartford, CT 06117 - United States ----- ©2016 ArchaeoSpain LLC. All rights reserved.